Blockchain is a hot topic for making patient’s Electronic Health Record both accessible and safe, talking about the dream of patients finally own their complete medical history, drugs list, lab test results, doctor notes etc. But there is a fundamental problem - Where is the data coming from? Even the medical providers are digitizing the patient’s data deligently, the data remains inaccessible beyond their database boundary. There are many attempts to bridge this big data chasm. 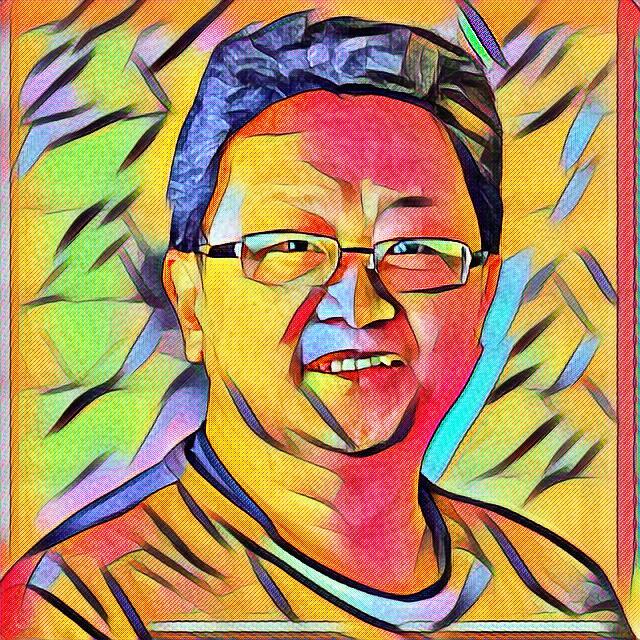 The interest reader should take the Coursera’s Health Informatics on FHIR https://www.coursera.org/learn/fhir to understand the history, the problem and how FHIR could keep the Blockchain dream alive in sharing the medical records. This article takes the Blockchain believers, as Kierkegaard famously termed “A leap of faith”, to setup a functional FHIR server for research and development. FHIR is a platform specification that defines a set of capabilities use across the healthcare process, in all jurisdictions, and in lots of different context. This document will guide you through the installation, setup and testing of the FHIR Server. 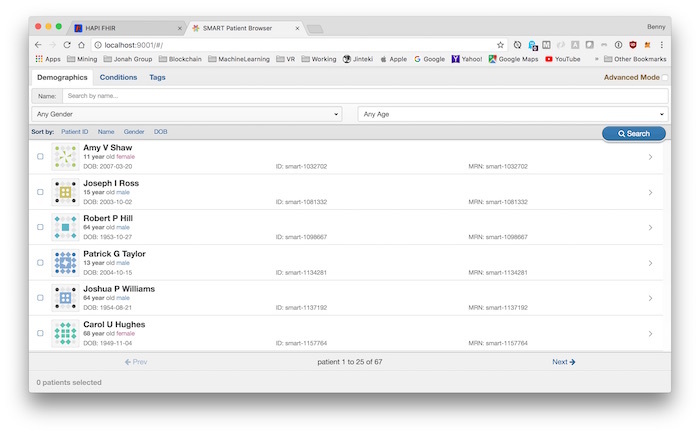 With the FHIR Server, the provider’s healthcare data can be made easily accessible with the standardized RESTful API and JSON formatted resources. In addition, to limit the scope of this setup, the topics of security are not discussed. The following steps will guide you through the server installation, data generation and UI testing. The instructions are proven to work on a Mac (OS X El Capitan). 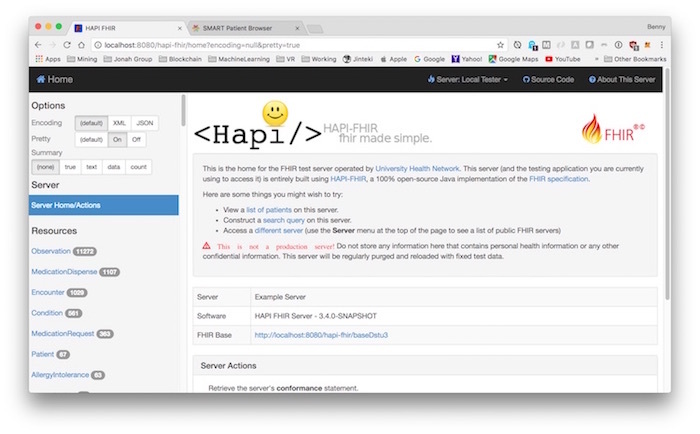 Go download Hapi FHIR Server http://hapifhir.io/download.html. At the time of this writing, the latest DSTU3 (Draft Standard for Trial Use 3) is stable. We shall build our server and data upon this latest released standard. 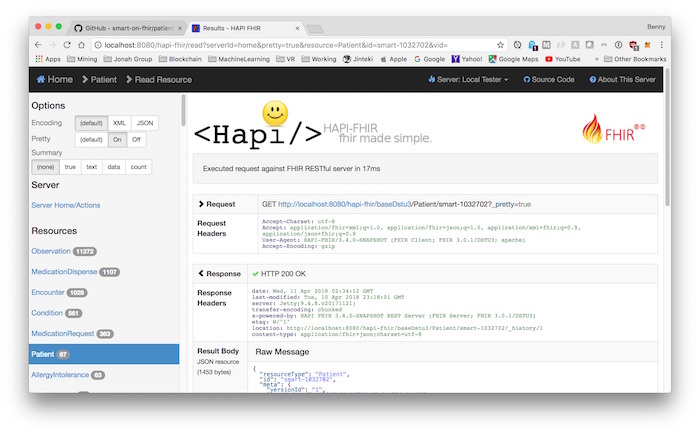 HAPI is built primary using Apache Maven. Even if you are using an IDE, you should start by performing a command line build before trying to get everything working in an IDE. After the Hapi FHIR Server has been compiled, we can setup the JPA Server example located in hapi-fhir-jpasserver-example. We shall edit the root URL context to a shorter name hapi-fhir (i.e. make the URL shorter). In the section of Jetty server plug-in config, we shall change the contextPath XML value to /hapi-fhir. But wait, we need to populate with some sample data first. The following section will generate some fake (but realistic) data set. The primary purpose of this tool is to generate FHIR STU3 transaction bundles as JSON files. Once generated these bundles can be inserted into any compatible FHIR server using it’s API. This generator requires Python 2.7 to run. python generate.py --write-fhir ../out --id-prefix "smart"
All sample data ID will be prefixed with smart for the set. To add a tag to every JSON bundle found (deep) within the specified directory. It will take a few minutes to upload all the sample data. The tag smart can be used to delinearate different data set. The configuration is located in build directory. The default configuration file stu3-open-sandbox.json5 will be used. We can edit the url to point to our Hapi FHIR Server. The reason that patient-browser will use stu3-open-sandbox as the default config because under src/App/index.js has the DEFAULT_CONFIG constant defined. You can see the list of loaded sample patients. 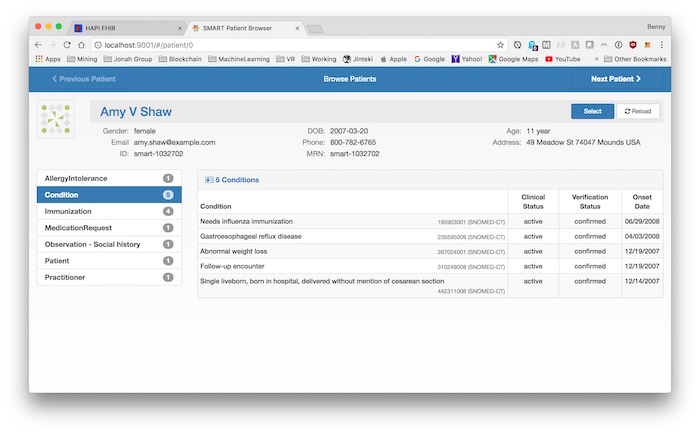 By clicking on a patient, we can navigate the patient’s detail info.